How can our clinical innovation save you money? Cutting costs is the name of the game in healthcare today. Everyone from manufacturers to providers to group purchasing organizations is under pressure to do more with less. We know that solving clinical problems is only half of our job. Every product needs to save you and your physicians time or money. For the past few years, the focus of our product development team has been to design products that help to contain the costs of urological procedures. We’re proud of what we’ve been able to accomplish in this area, and we want to show you a few of our achievements. 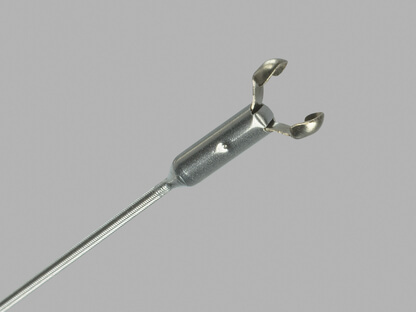 The BIGopsy forceps was one of our first devices specifically intended to contain the cost of biopsy procedures. The cup size of the BIGopsy forceps allows physicians to grasp large tissue samples for pathological evaluation. The cup is designed to capture a large enough tissue sample so that the procedure doesn’t need to be repeated. The BIGopsy forceps has a cup volume at least four times larger than the competition (for a ureteroscopic forceps of size ≤ 3.0 Fr). The Resonance stent is one of our favorite devices because it can help hospitals reduce the amount of product used and procedures done. 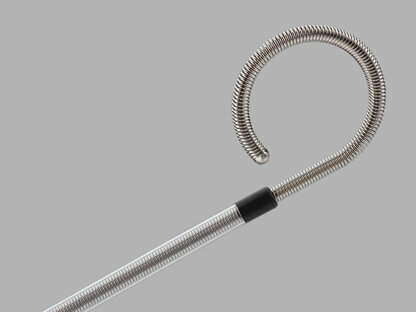 The Resonance can be placed in a ureter for up to 12 months at a time, while most plastic stents can only remain indwelling for 3-4 months before they need to be replaced. As one of our newest cost containment devices, the LithAssist is used in percutaneous nephrolithotomy in conjunction with a holmium laser. 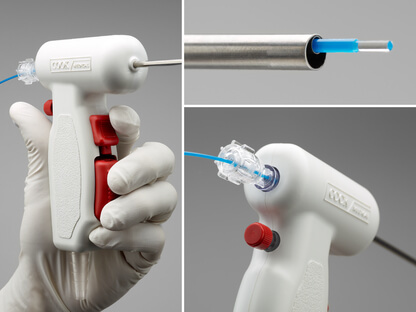 It allows the physician to control the laser and the suction with one hand. Prior to the availability of the LithAssist, an assistant would typically control suction by kinking a hose, similarly to how you might stop the flow of water from a garden hose. Using the LithAssist frees up a pair of hands in the OR, which can help reduce procedural costs. These are just a few of the examples of how we’re working to help our customers keep their spending low. Reducing the cost of healthcare should be a shared goal for all parties in the industry, and we’re committed to doing our part. Do you have ideas for how to contain the cost of urological procedures? We want to hear them! Find us on Twitter @CookUro.